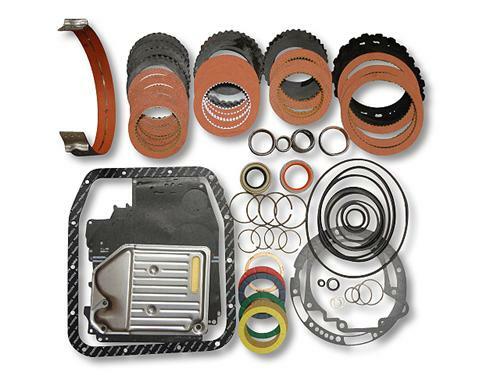 Beef up your 90-93 Mustangs AOD transmission with this Performance Automatic overhaul kit!!! If you have the tools and the know how to rebuild your automatic transmission, then this Performance Automatic Rebuild kit is perfect for you. Performance Automatic has carefully assembled a line of performance rebuild kits specifically designed for your 1990-1993 Ford Mustang's AOD transmission. These "Max Performance" kits are not only perfect for freshening up your existing transmission, but upgrading it to the next level of performance. All of these kits come complete with all seals, gaskets and Raybestos Performance clutches you need to bring your transmission back to life. Performance Automatics Max Performance rebuild Kits have the same high quality parts included in their tough Street Smart transmissions. NOTE: LRS Recommends that these kits be installed by a professional shop or mechanic with thorough knowledge and understanding of Automatic transmissions and their operating functions!